“The origins of the Environmental movement as we see it began back in 1968, when the CLUB OF ROME was formed. The Club of Rome has been described as a crisis think tank, which specializes in “crises creation”. The main purpose of this think tank was to formulate a crisis that would unite the world and condition us to the idea of global solutions to local problems. This was the instrument to be used to form the One World Government, also known as the New World Order. In a document called “The First Global Revolution”, authored by Alexander King and Bertrum Schneider, on pages 104 & 105 it states: “In searching for a new enemy to unite us, we came up with the idea that pollution, threat of global warming, water shortages, famine and the like would fit the bill. All these dangers of course will be caused by human intervention that will require a Global response.” That is the origin of global warming. In 1972 the CLUB OF ROME published the alarmist “LIMITS TO GROWTH” document, warning of world wide over-population and the need for “Sustainable Development”. This was the beginning of the slow process of social engineering and programming people to accept that the planet is “struggling” to sustain life. TED TURNER was also quoted in 1996 as saying “The total population of 250 to 300 million people is ideal. That means a reduction of 95% from present levels would be even more ideal. Anyone who abhors the China one child policy is simply a dumb dumb.” On July 7th 1998 the Baltimore Sun reported that most of Ted Turner’s first donation to the UN of 22 million dollars went to programs that seek to stall population. Another goal of the depopulation process is that the upcoming generation will submit to sterilization to save mother Earth. From a report in the 1976 UN’s “HABITAT 1” conference, “Land cannot be treated as an ordinary asset controlled by individuals and subject to the pressures of the inefficiencies of the market. Private land ownership is also a principal instrument of accumulation and concentration of wealth, therefor contributes to social injustice.” In other words if you work hard, excercise good financial management and invest in property you are contributing to social injustice. In 1992 came the EARTH SUMMIT, which produced the document called the EARTH CHARTER. This document was co-written by MAURICE STRONG, long time globalist elitist and MEMBER of the CLUB OF ROME and MIKHAIL GORBATJOV. Both Strong and Gorbatjov stated that “it was hoped that this document would be adopted as the new Ten Commandments, with Environmentalism as the new ONE WORLD RELIGION.” Out of this summit came Agenda 21. Cutting through the code, everyone should consider what “profound re-orientation of human society” and “unprecedented re-deployment of human and financial resources” actually means. For everyone not familiar with Agenda 21, this is the beginning of the learning curve, not the end. Put those statements together with the previous one and it must become clear that Agenda 21 is about controlling every aspect of our lives, how we eat, what we eat, how much we eat, how we move around, food production, the amount of food and where we even live. 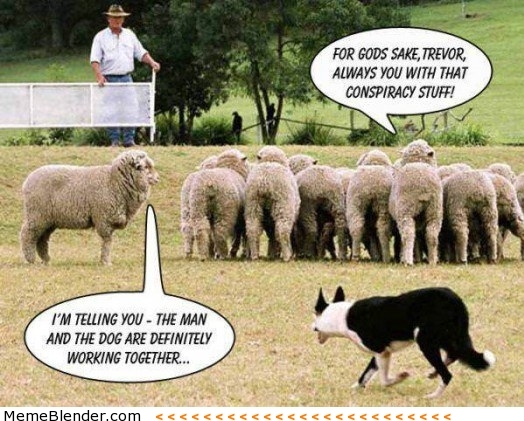 J. GARY LAWRENCE, advisor to President CLINTON’s Council on Sustainable Development stated “Participating in a UN advocated planning process would very likely bring out many of the conspiracy fixated groups and individuals in our society. This segment of our society, who fear ONE WORLD GOVERNMENT and UN invasion through which our individual freedoms WILL BE STRIPPED AWAY, would actively work to defeat any elected official who joined the conspiracy by undertaking Agenda 21. So we will call our process something else. We will call it COMPREHENSIVE PLANNING or GROWTH MANAGEMENT or SMART GROWTH.” We ended up with SUSTAINABLE DEVELOPMENT. The re-deployment of human and financial resources has now become visible to us all via the cuts to services and programs to assist the sick, the young, the elderly and of course the creation of another level of poverty, now identified by the term “The working poor”. We see daily cash grabbing via new taxes called “levy” or “levies” supposedly because they’re strapped for cash in the governments, yet at the same time we see big project spending that does not fit with the message that we are in financial crisis. But we the people have to tighten our belts while the governments seem absolutely unaware or unconcerned with the amount of debt they are accumulating. This in turn means that taxes, levies, fines and other penalties increase, as well as costs of living rising exponentially and the ordinary citizen’s ability to exist well is compromised with almost every law that gets passed. We’re constantly paying for so called services that we don’t receive. This is “wealth risk re-distribution” at the grass roots level, “re-deployment” of financial resources insuring only hardship for the citizens who just really want to get on with their lives. In 1975 Australia agreed to bring in a new economic order via the Lima Declaration, on the 2nd conference of the United Nations Industrial Development Organization. The outcome of this was the Lima Declaration, which was a blueprint for the re-deployment of tools, jobs and manufacturing to the developing nations, leaving countries like Australia short of technology, a manufacturing base and jobs. We can now see what the outcome of that has been for Australia, with unworkable trade agreements and tariffs that have followed as a matter of course. This is now a reality with around 90% of Australia’s agriculture and manufacturing just gone. Australia signed the Lima Declaration and hundreds of others with the support of all major political players. Whitlam, Frazier, Hawk, Keating, Hussen, Howard, Rudd, the Democrats, the “Greens” and even the Nationals. All of these treaties are the foundation for the roll out of Agenda 21 and it seems that Australia has been moved around the global chess board and it’s so called leaders were either complicit or naiive to the long term consequences. Now Australia is almost at check mate. The Australian parliament has also ventured into the rights of people to own and retain their property and manage it without government interference. In particular the laws around water allocation, natural resource management, the Native Vegetation Act, Development and Planning Act, which are all equally toxic to our food producers as they are to our long term security as city dwellers. Everyone needs to remember we all pay a natural resource levy on our tax rates, so this is not just going to affect the food producers. The intrusions into our properties that land producers are going through will roll out into the suburbs and into the cities, because they have the authority to do that. Parliament has already fiddled with land titles of people in rural areas with various legislations and the buzz words used to justify that was “Heritage Status”. At the same time that people’s right to own and manage our land, have access to water, produce adequate food to insure that our only option is not to consume often toxic and substandard food from places like China, our governments has been working overtime to take away our rights to “Common Law” through many pieces of legislation. Common Law is what gaurantees us an ability to correct injustices. This coming year we will also hear debate over a number of pieces of legislation that will further erode our Common Law rights. For way too long now we, the people, have been asleep at the wheel and it is time to wake up and participate in the democratic process or to return to common law sovereign Republics altogether. To do that you need to understand the parliamentary, governmental, or political system that you are trying to reign in. Everything stated here can be verified by document searches. It is now time to take off our blinkers and encourage our neighbors to take off their blinkers as well. It’s also time for us all to demand that every person we elect fully understands this policy that is being rolled out via local, state and federal government at a concerning rate. We’re not talking about decades, we’re talking about only years before this is fully implemented. 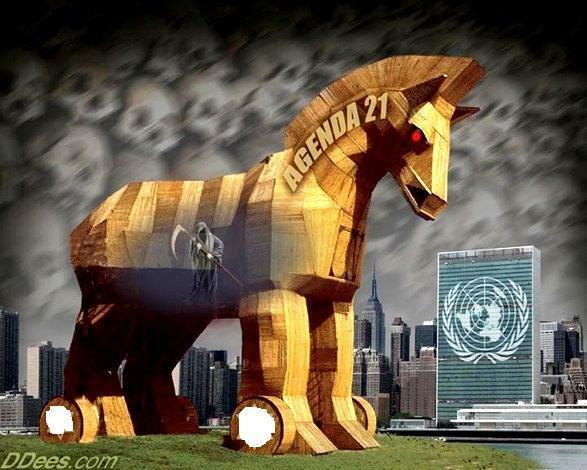 Every day another law is introduced or passed to produce the end game of Agenda 21 being fully implemented. So the question that Lord Christopher Monckton asks “Carbon tax, climate change and Agenda 21, can democracy survive all three?” needs to be answered, and answered NOW. We all need to find out from our elected leaders what they know of Agenda 21 and if they don’t know about it, educate them. If they don’t know it, push them to understand what they are voting on in government or parliament. This is a crossroads. It should be noted that the EPA (Environment Protection Agency) has NEVER had CO2 (Carbon Dioxide) on their list of air pollutants, nor does it to this day. Their list does include CO1 (Carbon Monoxide), ground-level ozone, carbon monoxide, sulfur oxides, nitrogen oxides, and lead for it’s most threatening particulate matter pollutants. These factory and societal pollutants absolutely need to be dealt with, but the idea of leaving a “carbon footprint” or paying to breath is ludicrous and comes straight out of the Club of Rome’s Agenda 21 land grab. If you think CO2 and humans are the cause of this fear based global warming propaganda and have concerns over your “carbon footprint” you will want to pay full attention to the real science debunking this scam. This will be a great place to start educating yourself on the matter. The Club of Rome and their Agenda 21 lackeys and agents are suffering from “Traffic Light Syndrome”. They pretend to be “green” because they’re too “yellow” to admit they’re really “red”.